Have you ever had the feeling of a place that just feels right, like a second home? 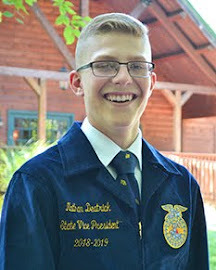 I had the exact feeling every time I stayed at the Indiana FFA Fellowship Center at the Indiana FFA Leadership Center. While staying at the Fellowship Center for chapter retreats, trainings and events the feeling of faith and hope filled my time. Laughter, growth and teamwork made each time special and unique. 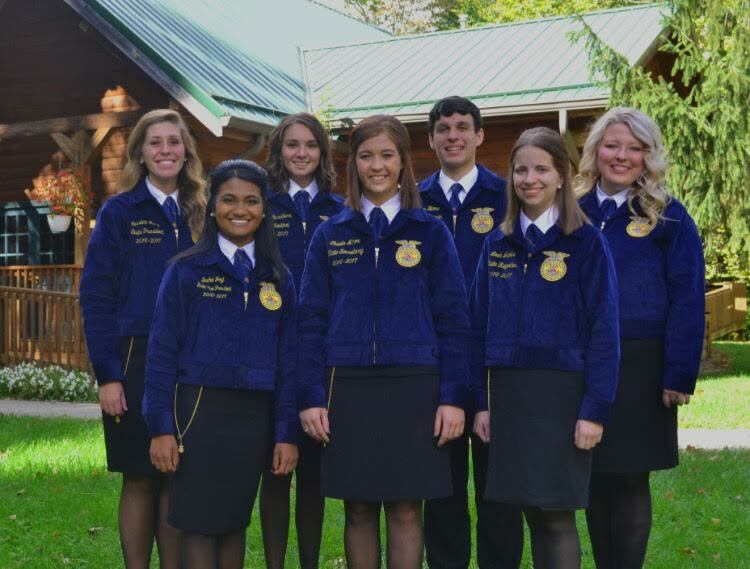 The 2016-2017 Indiana FFA State Officer Team is pictured here, in front of the Indiana FFA Fellowship Center. Throughout my stays, I discovered that the Fellowship Center was built “to honor all those who have touched the lives and hearts of the FFA”. Later, I realized that there was a much greater story to the Fellowship Center, the one of Valerie Victoria James, after reading The Journey is more than the Destination, written by her parents – Cathy and Frank James. 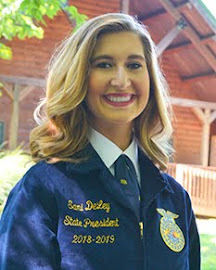 While reading, I learned that Valerie was a smiling, shining and passionate Christian girl, active Tri-County FFA member and recently elected District 1 President. On June 20, 1997, a tragic car accident took Valerie’s life. 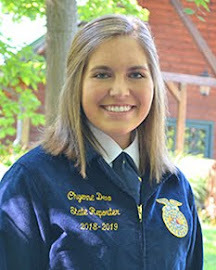 The grief of losing such a beautiful daughter and sister inspired her family to overcome their grief by giving back to the place she loved – the Indiana FFA Leadership Center. 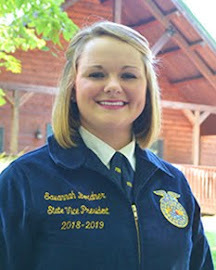 Valerie would come home from weekends spent at the Center during FFA Conferences – enthusiastic and excited because of the experiences she gained there. Her family worked hard and remained dedicated to building the Fellowship Center – a symbol of Valerie’s legacy and to honor all who have impacted Indiana FFA. The Fellowship Center looks just as majestic covered in snow! It is beautiful in every season and can be rented out by any group who would like to enjoy it! I wish I could have known Valerie, but after reading the book and being impacted by the beautiful Fellowship Center, I have felt the legacy that she has left on so many. 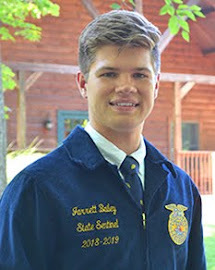 That legacy has touched FFA members, Church groups, families, businesses and many others who have experienced it as “such a loved place for reflection, worship and fellowship”. The impact that Valerie’s life has continued to make – over 19 years after her death – is breath taking. Valerie’s legacy is the true example of ‘living to serve’ and something we should all model after. I encourage you to read The Journey is more than the Destination (available on Amazon) and book a stay at the Indiana FFA Fellowship Center (leadershipcenter.inffa.org) for the opportunity to experience Valerie’s legacy, impact and character that is still alive today. What do a Pacers staff member, a seed salesman and the waitress at your favorite restaurant have in common? We’ll discover the answer a little later. 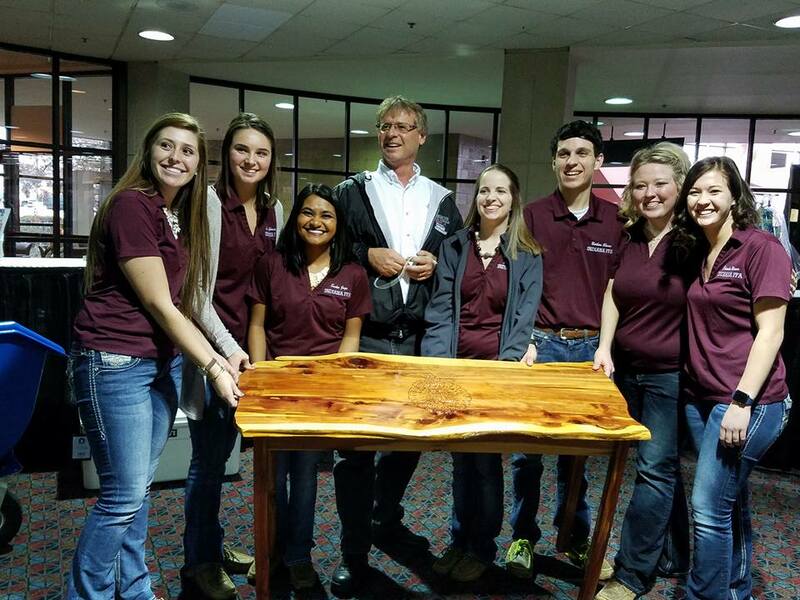 Recently, my teammates and I traveled to Ft. Wayne, IN for the Ft. Wayne Farm Show. At the show, we were tasked with getting as many donations as possible for our annual benefit auction. To do this, our team split up into three groups, then began visiting company booths to seek donations. Luckily, some businesses had already been contacted and all we had to do was pick up the items. This may sound like it was an easy task, but it quickly became challenging. We went to our first booth and the employee gave us a very skeptical look. He then attempted to explain that we must be at the incorrect booth. We became a little frustrated and I began to see the people at each booth as an obstacle. Once we made it past these people, we had our donation and we were on to another company. In ways, they were an obstacle, but as we continued our search for donations my perspective shifted. After time spent in conversation with various employees I realized that the people were not only real people with their own struggles, but also some of the most caring I had been around once I stopped seeing them as obstacles. Two of the most memorable people were two men that worked for a chocolate company. First, we just got a bag of popcorn as a donation. The simple donation evolved into conversation, regular free samples and nice breaks from frantically collecting donations. At the end of the show, I walked out scanning the faces of people that were once just strangers. Just objects. Now they were much more than that, they were great people. 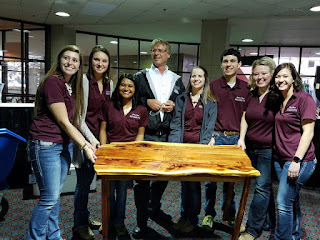 One the great people we met at Ft. Wayne Farm Show! In life, it is easy to see the people around us as objects and obstacles. We wait in line and see the people before us as only an obstacle between us and our goal. We get angry when traffic is stopped and it rarely crosses our mind that someone could have just lost their best friend because of the wreck we are stopped for. Our waitress may be doing an awful job, but we do not know what is on her mind. What do a Pacers staff member, a seed salesman and the waitress at your favorite restaurant have in common? They are all people and it is time that we start to see them as such. I encourage each of us to go through this week with an open mind. When we wait in line, instead of being bothered by those in front of us stop and think about what they are going through. Show the employees you encounter kindness, because no amount of kindness is wasted. It is time to start seeing people as such and appreciate what they offer. Do you have those certain, absolutely amazing stories that you tell everyone? You know what I mean, those stories that are simply so crazy and awesome to tell. I certainly understand that feeling. I have several stories that I tell ALL the time. In fact, my mom makes fun of me because I will tell her the same story 3-4 times simply because of its pure awesomeness. I mean, we have things that happen in our lives that are just so amazing that all we want to do is to talk about them and to tell them to others. However, what about those stories that we have that maybe we remember, but we don’t really tell them to others. Not because they are embarrassing or even boring, but just because they are not quite as cool or exhilarating as others. 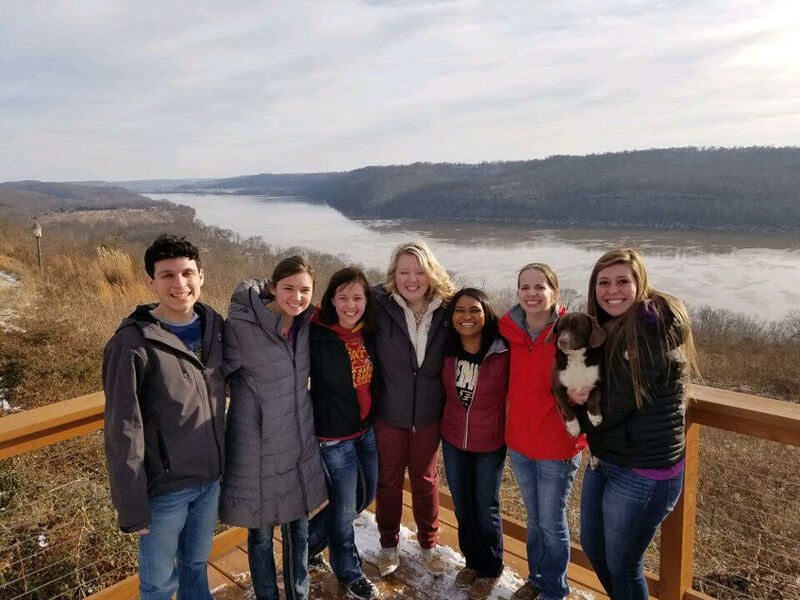 Right after returning to the FFA Center from the holiday’s, the seven state officers went on a trip to southern Indiana in a place called Magnet, right on the Ohio River, for Keynote Training. 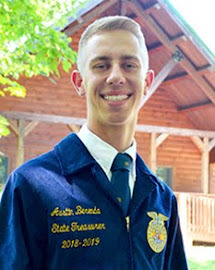 One of the responsibilities that State Officers have, is to give keynote speeches at Chapter Banquets. So, this training was fundamental in helping us think of ideas for the speeches we are going to deliver. One of the most important things I did during this training was to think of as many stories as possible. 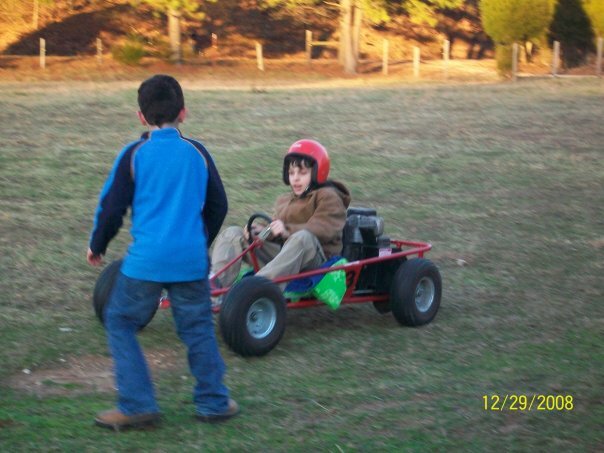 These stories varied greatly, from flipping my go cart in 3rd grade to running track my senior year of high school. I had selected the three “best” stories from my list, so I had thought. I practiced telling the first story a few times and it clicked, then I practiced with the second story a few times and for some reason it just wasn’t connecting with the audience. I mean, I am sure that I felt a connection with the story, but I couldn’t deliver it in a way that made sense to myself, so I scrapped it. In case you were wondering, it was about my first time roller skating, which I happened to think was pretty hilarious. Anyways, after I chose a new story, I finally had three perfect examples to relate back to the main message of my keynote. I had composed a list of nearly 150 personal stories and I ended up choosing just three to share as a keynote. While it may appear that these stories are more important than the other stories, or that the others may not have even been important at all, that is not entirely the truth. Sure, I did choose those top three for a reason, but just because I chose them doesn’t mean that the other 140+ stories didn’t have a special meaning to me. I initially brainstormed and wrote out those stories for a reason. They had a significant impact on my life and what it was that I was thinking about. 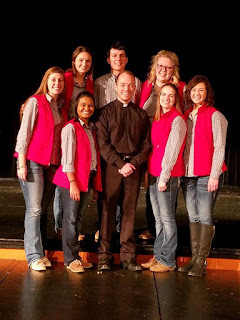 Even though I am not sharing those stories at chapter banquets, doesn’t mean that they aren’t important to me or that they don’t represent a significant experience in my life. They do represent something special and important to me and are a part of who I am. 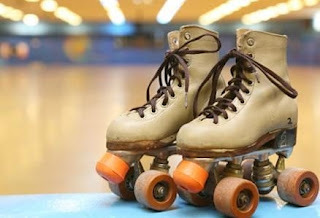 Just because I am not telling the roller skating story, doesn’t mean that the experience I had at sucking while roller skating doesn’t make me laugh. When we think about what it is we do in our everyday lives, the people we meet, the things we watch, and the experiences we encounter, all of it makes an impact on who we are. Maybe you have that story about making a half-court shot, or meeting an awesome person, whatever it is, just because you don’t tell it to others does not mean it’s not important to you. Just remember, every experience we have and every person we meet, helps shape us into the people we are today. 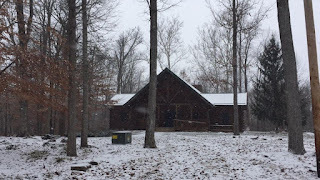 The first weekend of our new year was spent at a cabin in Magnet, Indiana. 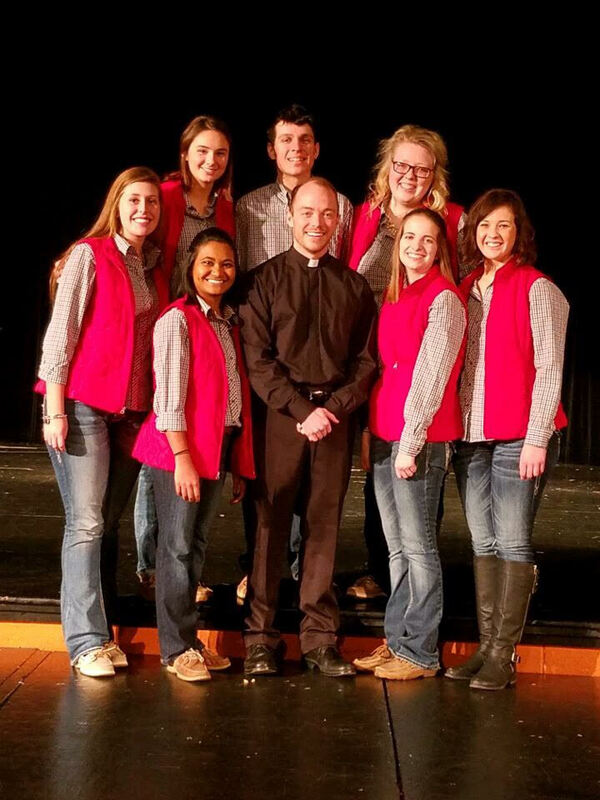 My teammates and members of association staff gathered on the Ohio river for Keynote Training, where we worked with Past Indiana FFA State officer, and Past National Officer, Father Tyler Tenbarge. Overlooking the beautiful river we spent time developing ourselves as speakers as well as developing the messages that we wanted to share as we travel to chapter banquets this spring. The laughter, joy, and fellowship of this weekend were second to none, but there was one little issue that we noticed upon our arrival. The top left corner of our cell phones where one would typically find the strength of the signal, read “No Service.” I am sure you can see the problem we all began to face. Seven teenagers who are big users of email, text messaging, and social media would be living without for the next few days. 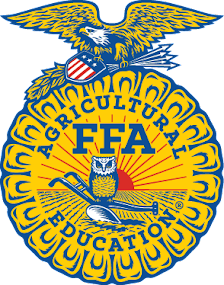 “How could I not share this beautiful view with Snapchat?” “I really wish I could read my email about FFA week,” were common phrases that were spouted out over the course of the weekend. 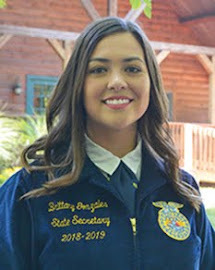 We have a rule in the State Officer House that there are no phones at the dinner table, and considering most evenings we could barely make it through supper without bringing up a photo or email, you can imagine how empty we felt without the comfort of our Instagram and Facebook Apps. However, looking back on the experiences that we shared this past weekend, empty would be the last word to describe it. Silly dancing across the hardwood floors in our socks, challenging each other to intense games of pool, even though most of us had only played on our phones, and simply sitting down together with a card game is just the beginning of the laughter, joy, and memories that I will take from our weekend away. I’m sure many students or teenagers reading this are shocked that we were able to step away from the digital world for those three days, and although I don’t want to admit it, I did call a friend to make sure I didn’t lose any Snapchat streaks. Yet, the friendships and connections that I made with those around me will last longer than any snap streak. So, I bring up the thought again, “new year new me?” and with confidence, I can say that my new year’s resolution is to spend more time focusing on those around me, than those on my phone.